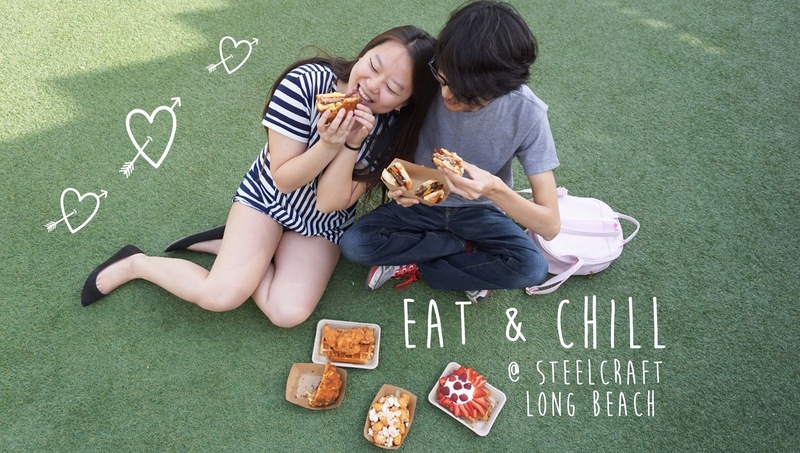 Let's Eat And Chill And Eat Some More @ Steel Craft - Long Beach - EAT WITH HOP! There is a new hangout spot y'all need to check out and it's in Long Beach! 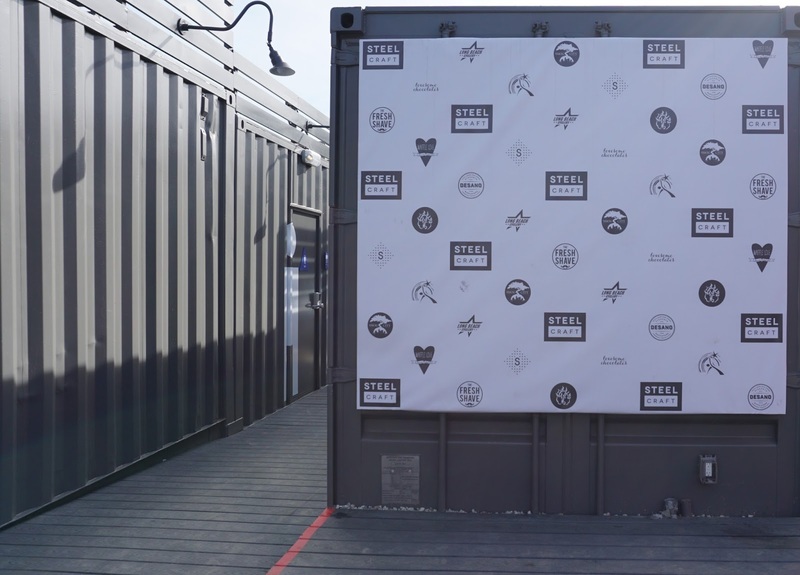 This new foodie hub is called the Steel Craft which creatively reuses shipping containers to house some of the hottest and most popular restaurants! Kevin and I checked this place out the other day and were delighted by this outdoorsy foodie hangout spot! There is a photo wall for you to pose with so you can tell all your friends how cool you are for hanging out at such a place. And eating cool food. But really though, I think they should add an actual photobooth here that prints out polaroids or instax or something. That would be awesome! There is a new ramen spot opening! It's called TAJIMA ramen! Can't wait to try it one day! I love the fake grassy area. It's great to just eat, have some laughs, have a photoshoot of us eating and laughing, and hope that a dog didn't pee in the fake grass where we were sitting. side story: A dog really did pee nearby on the fake grass though. This is the Desano Pizza Bakery! There is also a Smog Brewey here too! I heard that it's popular among lovers of good beer. HOLY MOLY! This is the Mac n Cheese Bun Burger from Pig Pen Delicacy! It's actually their second location right in the LBC! I thought the mac n cheese bun would fall apart and be hard to eat but it actually stayed intact the entire time. This thing is delicious and I would totally order it again! Steelhead Coffee, a new place to congregrate and get your early energy on! 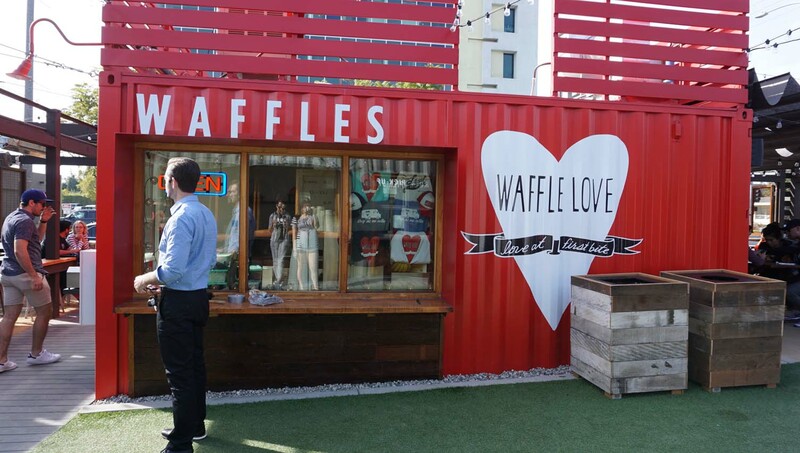 This WaffleLove makes one of the best waffles ever! OMG! IT'S A SHAVED ICE PLACE THAT'S POPULAR FROM KAUAI HAWAII! YUMMMMMM CANDIED BACON STRIPS FROM PIG PEN DELICACY! THESE GIVE ME NEW MEANING IN LIFE! Kevin totally enjoyed these chicken and waffles from WaffleLove! The chicken was thinly breaded yet still had that slight crispy to it and was very meaty. The waffle was also perfect. It had a caramelized texture on the outside which made it crispy and inside wasn't too doughy but just thick and perfect! Bacon Mac n Cheese fries topped with hot cheetos. Would you try these? Get them from Pig Pen Delicacy! Here, Kevin is trying to take a cool photo of the bacon cheeseburger sliders from Pig Pen Delicacy. They were so mini and cute and love how the buns are hawaiian sweet bread. I love those! Meat patty itself was juicyyyyyyy! 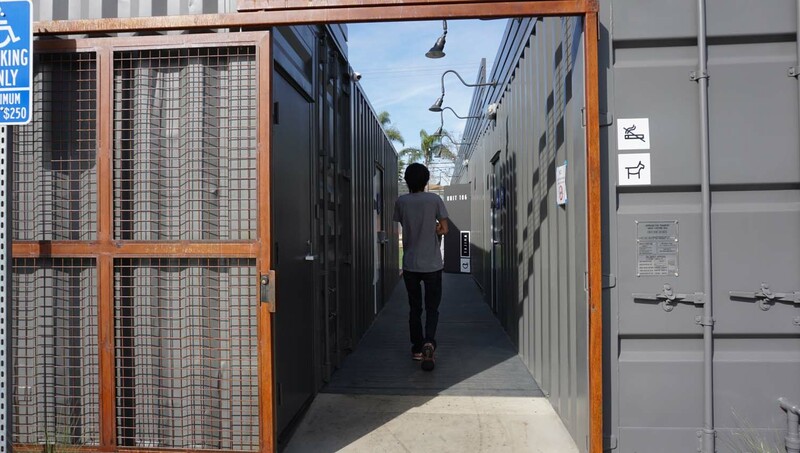 Steel Craft in Long Beach reminds me of the OC Mix Mart / Anaheim Packing House / 4th Street Market except the restaurants are in shipping containers so essentially the communal dining area is outdoors! This means you'll get to enjoy the breeze and fresh air in the beautiful California weather when eating here unless there's that occasional rain. So far, this place looks hip and legit! The only issue I'd be worried about is that it probably has less parking than Anaheim Packing House so you'd have to resort to neighborhood parking when it's busy. I really like the WaffleLove and Pig Pen Delicacy! But there are other restaurants I haven't tried yet but looks promising. 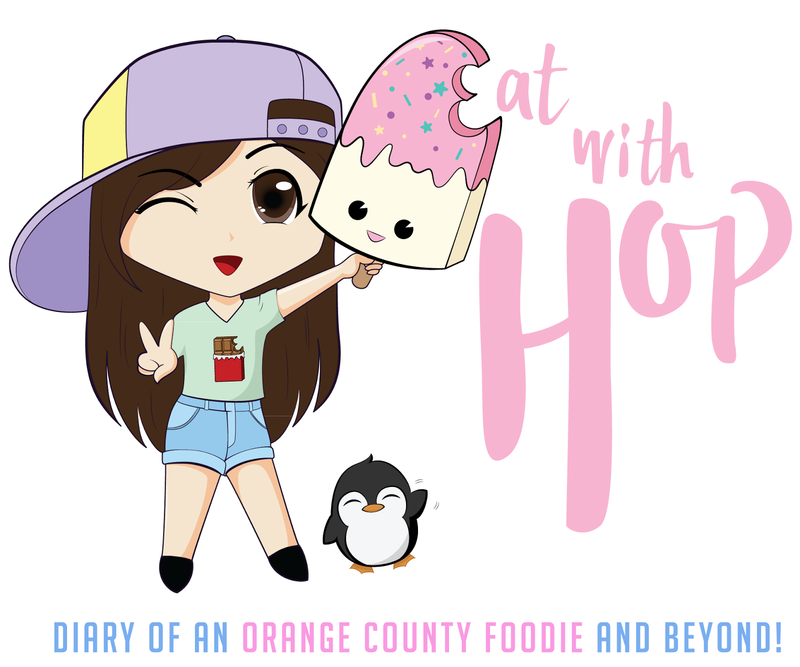 There will be a full review of the restaurants I tried coming soon on separate blog posts! For now, come out and play at the Steel Craft in Long Beach and you'll know what I mean when I say this place is hip! Check out the list of vendors here. Parking available at lot adjacent to 3745 Long Beach Blvd. Limited parking though so if it's crowded expect to find a friendly neighborhood to park in!